When in doubt, create your own! I’m about mid-way through painting the cabinets. I am painting in multiple steps which I will detail next week. 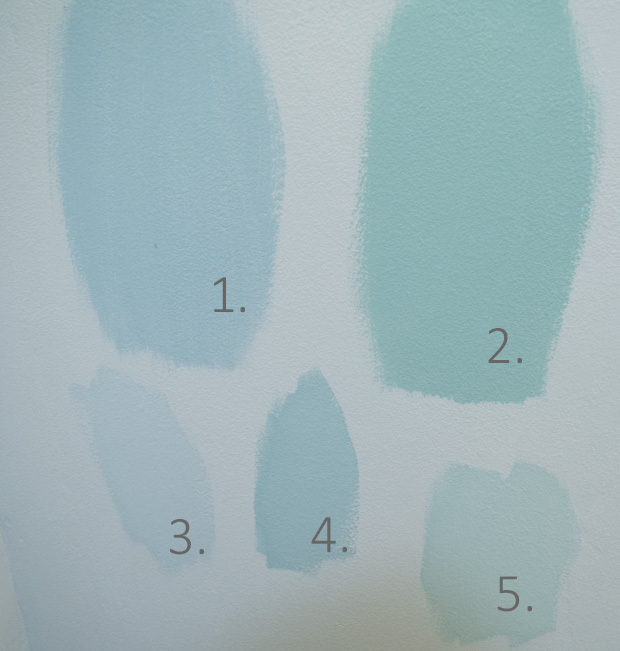 While I’m in the painting mood, I decided to try and narrow down our paint selection for the bathroom walls. I guess the last time we discussed paint colors, it was here. I had taped up a hand full of paint swatches in the blue/green/grey pallet. Good granny was that bathroom dark back then. Once we got the lighting updated, I finally had it narrowed down to 2 colors and stopped by Sherwin Williams for a couple of samples. I slathered them up on the wall and lived with them for a couple of days. By the end of the week, I still wasn’t loving either choice. 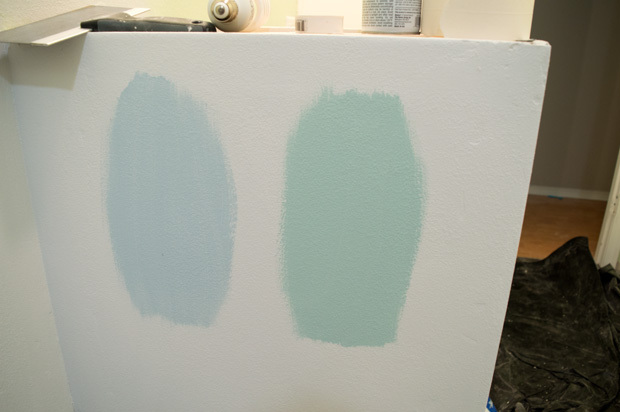 Balmy (on the left) was too blue and Tidewater (on the right) was just to dark. So I took matters into my own hand and did a little paint mixology. I took Balmy(1) and added a little white to make (3) and took Tidewater (2) and added a little white to make (5), which toned them both down. On a whim, I mixed Tidewater and Balmy together to create (4). Are you confused yet on the numbers? Thankful I didn’t become a math teacher, mind-blown. Call me crazy, but I think I like the 4th color the best of all. It’s more of the color I was leaning towards. A spa-like blue/green to give this bathroom retreat a relaxed feel. I made sure to paint the back of my old paint chips so that we can get it color matched. 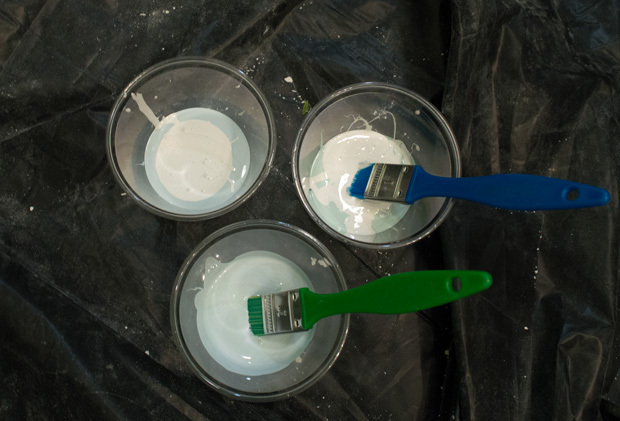 Now, for a name for our new paint color…what are your thoughts? Love those mixed colors of yours! Four would be my choice as well!